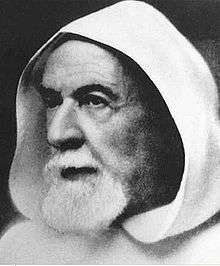 Marie-Joseph Lagrange (7 March 1855, Bourg-en-Bresse – 10 March 1938, Marseille; earlier Albert Marie-Henri Lagrange) was a Catholic priest in the Dominican Order and founder of the École Biblique in Jerusalem. A scholar of wide-ranging interests, he was the author of Critique textuelle; II, La critique rationnelle (Paris, 1936), an influential handbook of textual theory and method as related to the textual criticism of the New Testament. Père Lagrange, like other scholars involved in the 19th century renaissance of biblical studies, was suspected of being a Modernist. The Historical-Critical Method was considered suspect by the Vatican. In 1912 Lagrange was given a order of silence and the Revue biblique ceased publication. The École itself was closed for a time.